King of Hearts film poster - 4K restoration - Poster Design by PlanetFab. 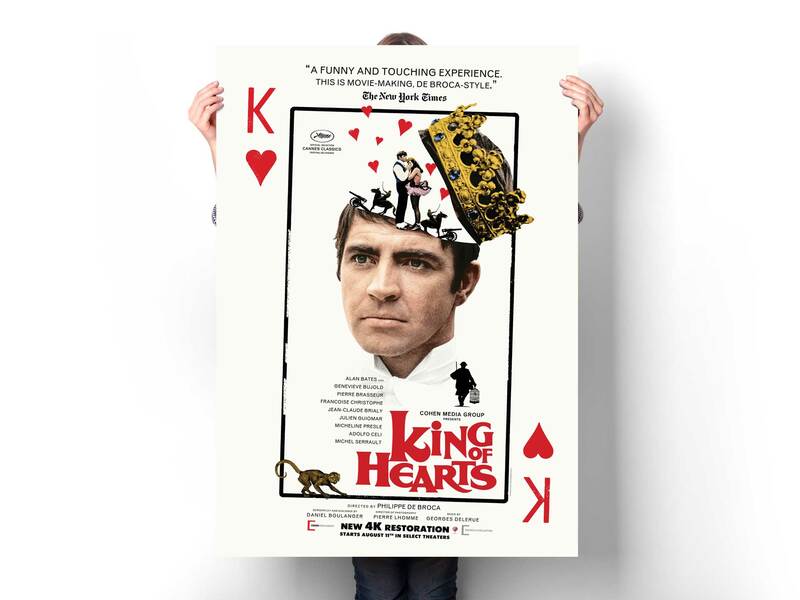 The Cohen Media Group, known for their wonderful and exhaustive collection of period films, approached us to create a poster for the 4K restoration release of 1966 classic film King Of Hearts. The film was directed by Philippe de Broca and with leading roles including Alan Bates, Geneviève Bujold, Pierre Brasseur. If You Can’t Be Free, Be A Mystery: In Search of Billie Holiday.